Trent A. Hankins ’93, an attorney who volunteered countless hours to help Boston’s homeless residents find permanent housing, died Dec. 13 of an allergic reaction. He was 31. Hankins, who was allergic to peanuts and peanut products, died after touching food containing peanut oil at a dinner party, according to friend and fellow attorney Wendell C. Taylor. 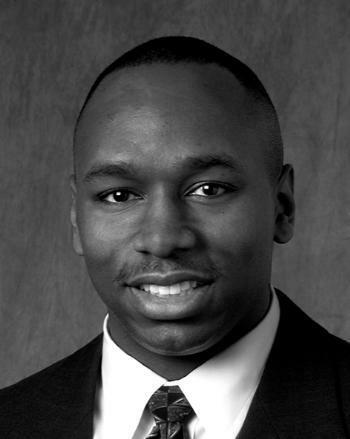 Hankins, an associate at the Boston law firm Ropes & Gray, was active among black Harvard alumni and worked to mentor and recruit black lawyers both within his firm and in the greater Boston area. Hankins’ father, Andrew J. Hankins Jr., a Detroit physician, said his son was deeply devoted to the practice of law. At Ropes & Gray, Hankins helped organizations—including Harvard and the Dana-Farber Cancer Institute—design employee benefit plans. He was involved in the firm’s efforts to recruit minority lawyers and also served as a member of the Boston Lawyer’s Group, an organization that promotes the hiring and retention of attorneys of color in the Boston area. Hankins was also a member of the Harvard Black Alumni Society’s steering committee and at the time of his death was planning to help the society provide benefits to its employees, said society officer Christia E. Donaldson, a student at Harvard Law School. Friends and relatives said Hankins was also deeply concerned with the plight of the homeless. In 1998, he became involved with HomeStart Inc., an organization that helps Boston’s homeless residents obtain and retain permanent, affordable housing. Less than one year later, Hankins became a member of HomeStart’s Board of Directors. Executive Director Linda Wood-Boyle said Hankins arranged the group’s 401(k) plan and devoted hours of pro bono work to the organization. “Whenever I asked him to do anything, he did it, even though he worked many, many, many hours as a junior attorney for Ropes & Gray,” Wood-Boyle said. Peter N. Rosenberg, who is the partner in charge of Ropes & Gray’s Employee Benefits Practice Group, also recalled Hankins’ cooperative spirit.